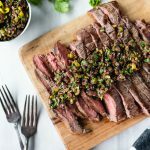 The internet is full of grilled flank steak recipes – but this one has a briny olive herb relish that takes it over the top! 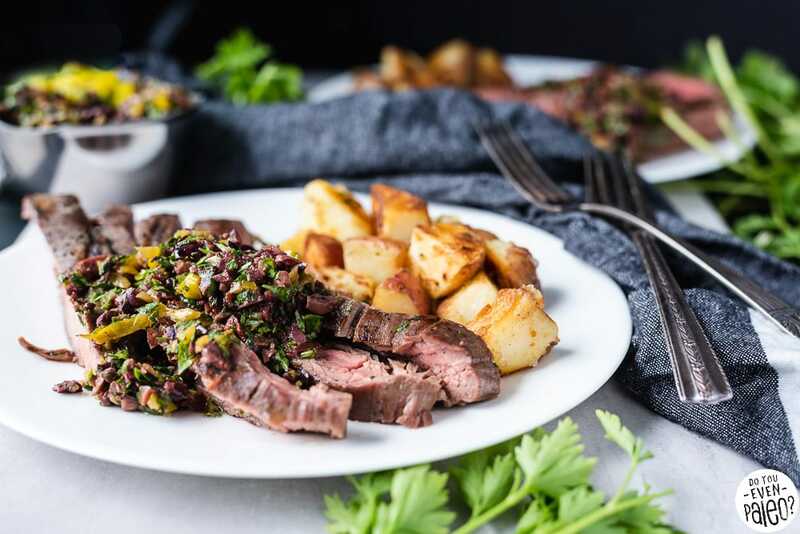 I’m continuing to make the most of summer grilling with this simple savory flank steak recipe. Grilling up the steak takes just a couple minutes. 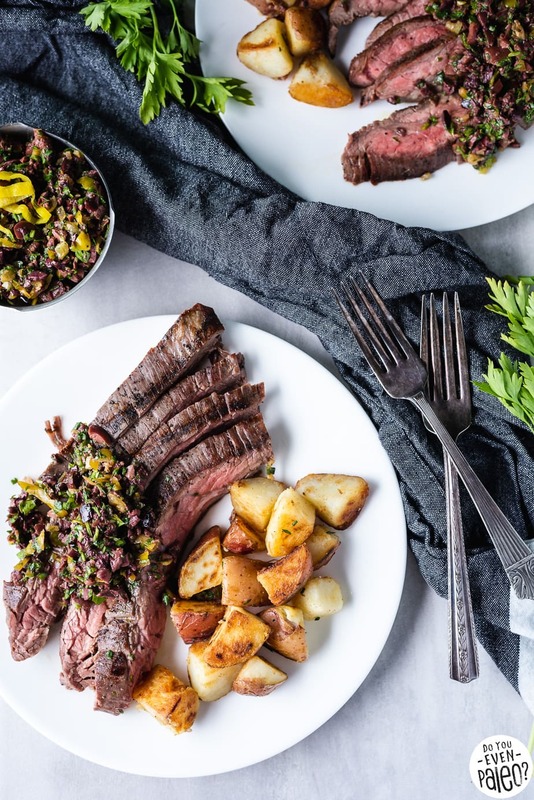 The separately-prepared relish is an epic addition that makes this dish worthy of sharing with company. The first piece of this recipe we have to address is how to grill a great steak. 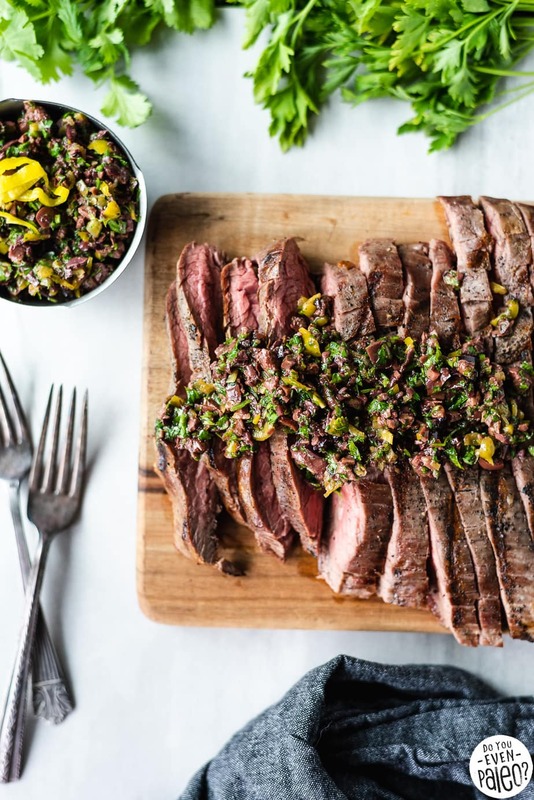 Regardless of the type of steak you’re making, the seasoning, or the marinade you’re using, you’ve got to get a grasp on the basics of steak grilling. Generally, you sear or reverse sear a steak. I won’t get into the reverse sear here (it’s essentially the same thing, just backwards). Either way, the first step is to fire up the grill crank up the burners on one side. Keep the other side low. Next, turn your focus to the steak. Take it out of the fridge and let it come to room temperature. Sprinkle it with kosher or sea salt and ground black pepper. Then, throw it on the hot side of the grill. Obviously, don’t REALLY throw it. Be gentle, be safe, probably use grilling tongs. Cook it for 1-2 minutes on each side, keeping the grill cover closed between the flip. Then, transfer it to the cool side of the grill, and let it hang out there for a couple minutes. Cook time here depends on the thickness of your steak and how well you like it done. For me, it’s rare all the way. Take it off the grill and let it rest for at least 5 minutes. And now we’re good to go. Overall, it should take less than 2o minutes to grill a damn good steak! Obviously, this wouldn’t be much of a recipe if I just told you how to grill steak. 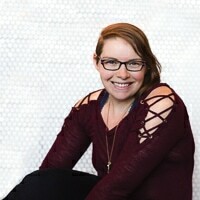 Yes, it’s an important skill to have, but you probably already had an inkling of how to do it. 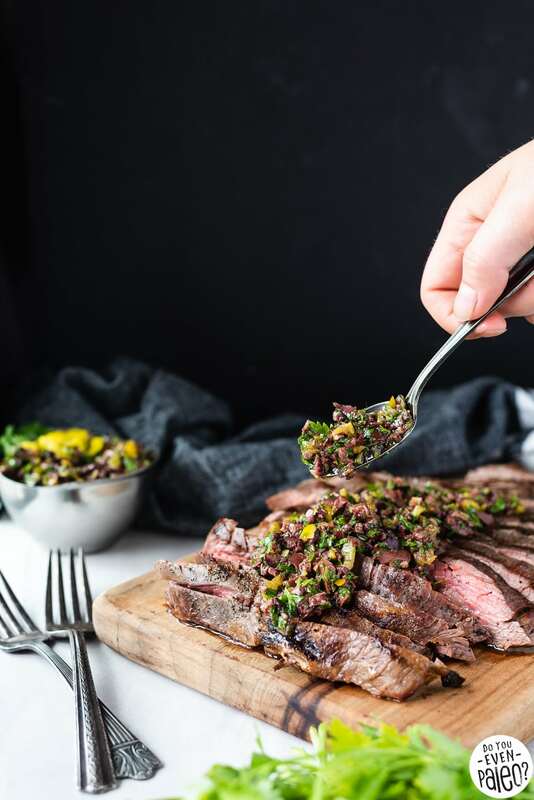 The olive herb relish that goes along with this grilled flank steak recipe adds a whole new level of flavor. Using kalamata olives, pepperoncini, parsley, and cilantro, the relish is rather simple but packs a punch. 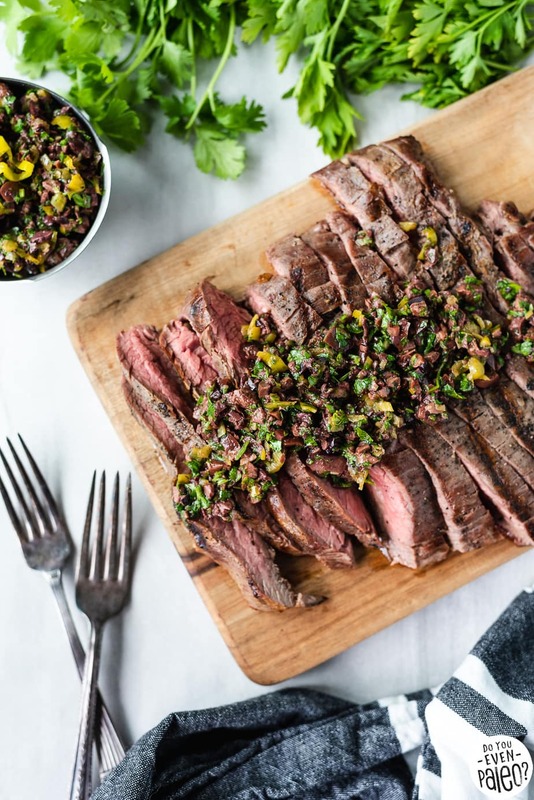 I think it’s the perfect companion to the steak – and it would go great mixed in with a side salad or roasted veggies, too! 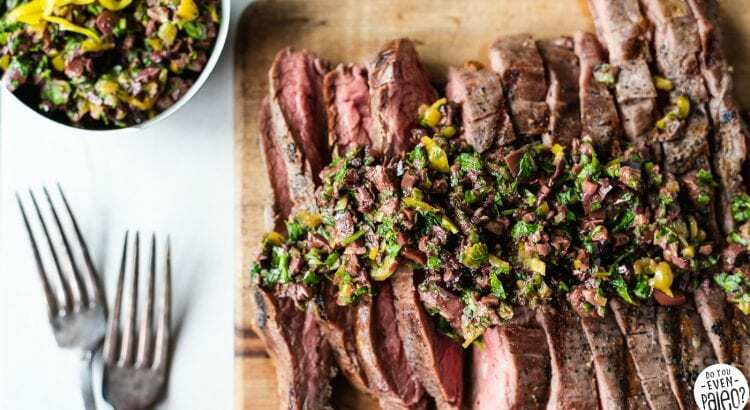 Master the basics of grilling with this grilled flank steak recipe topped with a simple and flavor-packed olive herb relish! This recipe is paleo, gluten free, and Whole30. In a small bowl, stir together olive oil, olive brine, olives, pepperoncini, parsley, and cilantro. Set aside to let flavors meld. Turn on a gas grill and heat one half of the burners to high, keeping the other half on low. Season steaks with sea salt and pepper and let come to room temperature. Place steaks on hot side of the grill, cooking for 2 minutes on each side, keeping the grill cover closed unless flipping. Move the steaks to the cool side of the grill and close the cover, cooking for another 2 minutes or more depending on how done you’d prefer the steak. Transfer to a plate and let rest for at least 5 minutes. 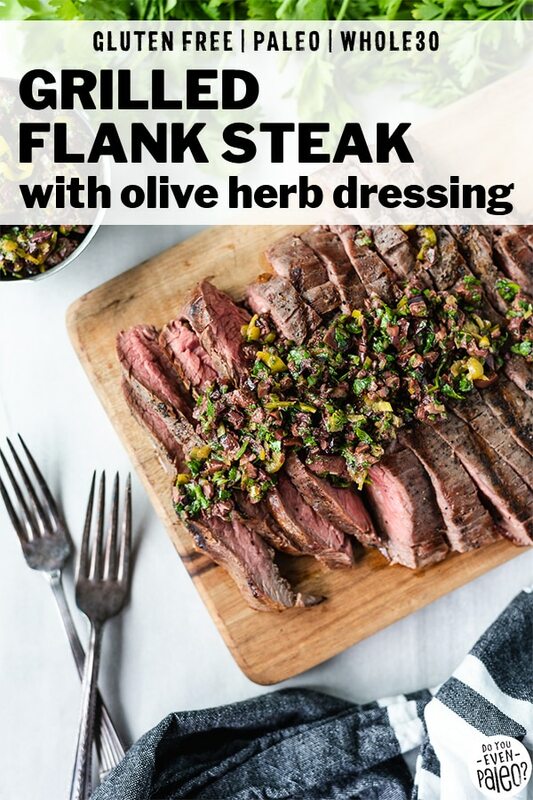 Slice into thin strips and top with the olive and herb dressing. Don't subscribe All Replies to my comments Notify me of followup comments via e-mail. 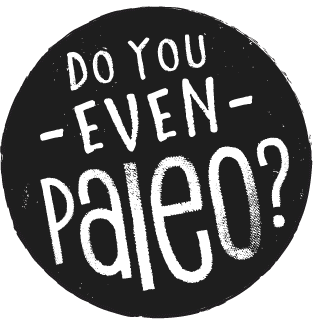 You can also <a href='https://www.doyouevenpaleo.net/comment-subscriptions/?srp=5202&srk=87505361eee98908ddf6ccb8681f50d6&sra=s&srsrc=f'>subscribe</a> without commenting.